U.S. candy and food products multinational Mars is taking bold steps towards meeting ambitious triple-bottom-line sustainability goals. Aiming to be completely carbon-neutral by 2040, today Mars announced it is partnering with the Sumitomo Corporation of Americas and BNB Renewable Energy Holdings to build a wind farm in Texas capable of producing enough renewable electricity to power all of its U.S. operations. Mars, Sumitomo Americas and BNB are partnering to build Mesquite Creek Wind, a 200-megawatt (MW) wind farm comprising 118 General Electric wind turbines that will equal Mars' electricity use for 100 percent of its operations in the U.S. This encompasses 70 sites, 37 Mars factories and 25,000 employees, according to a company press release. Located on 25,000 acres near the Texas town of Lamesa, Mesquite Creek Wind will be able to generate 800,000 megawatt-hours (MWh) of clean, renewable electricity. That amount of clean energy represents 24 percent of Mars' total global factory and office carbon footprint, making Mars' investment in Mesquite Creek Wind “the biggest long-term commitment to renewable energy use of any food manufacturing business in the country,” the company highlights. Mars: "Sustainable in a Generation"
Its investment in Mesquite Creek Wind is the latest in a series of initiatives Mars has taken as it works to realize the goals set out in its “Sustainable in a Generation” business strategy. Those goals include reducing its fossil-fuel use and greenhouse gas emissions by 25 percent by 2015 and becoming completely carbon-neutral by 2040 with 2007 as the baseline year. 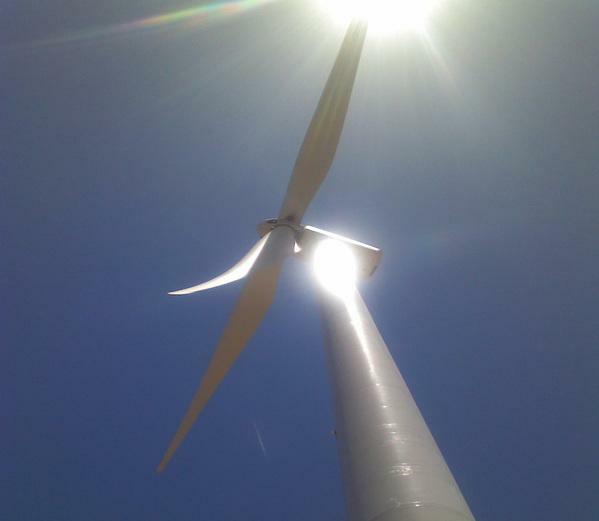 Commercial operation of Mesquite Creek Wind, which is expected in the second quarter of 2015, will enable Mars to meet the 2015 goal. Mars will receive all the Renewable Energy Certificates (RECs) Mesquite Creek Wind qualifies for as a result of producing clean, renewable electricity, an amount sufficient to offset the energy use of all its U.S. facilities. BNB originated development of the Mesquite Creek Wind project in 2008, with Sumitomo Americas stepping in to help finance and build the massive project. Blattner Energy is responsible for the wind farm's construction, with delivery of the initial 118 GE 1.7-MW turbines expected at the end of this summer. Image credit: GE; Graphics credit: Mars, Inc.